ARM has announced the second generation of its popular Mali-T600 graphics processors, with the British company providing the technology to power the next generation of features in our electronics. Graphics processors are now present in the majority of our mobile devices, and the Mali range can be found in many of the world's favourite gadgets, including the Samsung Galaxy S3. 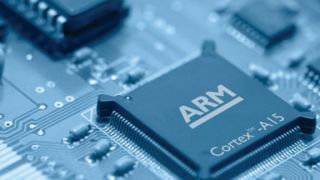 Now ARM has announced its second generation of the chips, including the range-topping Mali-T678, which is likely to make its way into many of the big name tablets and phones in 2013, along with the Mali-T628 and Mali-T624. The Mali-T600 range is built to enable GPU compute, essentially allowing some of the complex tasks to be handled within the graphics processor rather than slowing down the central processor. "We'll see the [Mali range] in high-end smarpthones and high-end tablets but we also expect them to find their way into Smart TVs," ARM's Steve Steele told TechRadar who went on to explain some of the features that this would aid on our devices. "Things like HDR and manipulating images on the phone [will be improved]," said Steele. "Gaming physics engines can run more realistically and more efficiently. "Another use case is not to do with imagery at all – it's in audio where voice or speech recognition is compute intense to do accurately and not have to train the voice. So it's not just about imagery but also about things under the hood." ARM's latest designs are generally a generation of product ahead of the curve, which means that we will see the first of the first generation Mali-T658 graphics designs in devices arriving soon. The first of these is expected to be the Samsung Galaxy Note 2, although this is not something ARM has confirmed. The current time-scale suggests that we will see a raft of devices carrying the new Mali-T600 chips mid-way through 2013, which is around the time we will see the Samsung Galaxy S4. Each of the offerings is targeted to a particular device, with ARM explaining: "Based on the Mali Midgard architecture, the second generation of the Mali-T600 Series comprises three GPUs - the Mali-T624, Mali-T628 and Mali-T678. "Each product has been tuned to provide optimal performance and energy-efficiency for different end devices. "The Mali-T624 and Mali-T628 products provide market leading graphics and GPU compute to smartphones and smart-TVs, while the Mali-T678 has been optimized to address the demands of the rapidly growing tablet market." The higher spec chips are a direct answer to the problem of ever-escalating audience demands from their devices. "People expect higher standards of visual computing on their smartphones, tablets and smart TVs with seamless access to their digital world and personal content," said Pete Hutton, General Manager, Media Processing Division, ARM. "GPU compute enables this as it increases the range of functions mobile devices can perform within the available battery life. "ARM continues to focus on system-wide optimization by integrating market leading CPU and GPU technologies to drive both high performance and energy-efficiency."